Today the Regius Cigars Exclusivo U.S.A. Pressed Perfecto is the third cigar in my four-part series of this new line. Looking at this 6 ½ x 54 pressed perfecto, I can not only see, but I can feel the high quality construction. 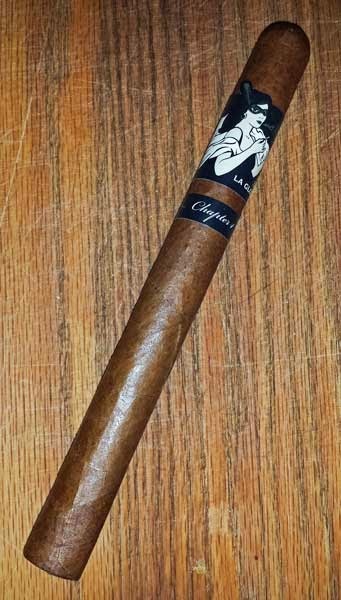 The cigar is firmly packed full length and it's covered with a silky, Colorado Claro colored wrapper. The wrapper is put on seamlessly and it only shows the finest of veins. Since there's a closed foot, there was only the light scent of fresh cut grass and light notes of caramel once the end cap was clipped. Even though the foot was closed, lighting the cigar was a breeze. The first firm puffs provided flavors of caramel and fermented tobacco. Once the burn progressed a bit the draw loosened up just as expected. As the razor sharp burn line moved up the cigar there were other flavors of toast, leather, brown sugar, toasted marshmallows, lots more caramel and some white pepper that floated in and out. After seventy-five minutes the cigar finished with a mix of caramel and white pepper. although the flavor mix wasn't very complex, this was a very flavorful cigar. All three of these Exclusivo U.S.A.Cigars from Regius Cigars have been fantastic, but so far I think this Pressed Perfecto is my favorite. It had great construction, a great burn and over the top flavors. Give these cigars a try, you won't be sorry. So far I've been pretty impressed with the Foundry Tobacco Company their cigar lines. Today we take a look at the Dubnium (Db 105) from the Compounds, Elements and Musings line. I picked this stick up at Cigar Train last week. The Db 105 is 6 x 60 with a near oval box-press applied. It's covered nearly full length by the two bands, but the Cheshire Cat is pretty cool, so it's OK. I'm always leery when it comes to removing large bands, but these both came right off with no damage to the wrapper. Once the bands are off, you can see the oily, seamless and nearly vein free Colorado colored wrapper that had been hiding underneath. The cigar was packed well full length and topped with a well fitting triple cap. From the cold foot there are notes of sweet fermented tobacco, plus a hint of hay, while the free draw was light and flavored like sweet, spicy cedar. Once the cigar was burning there were smooth, medium bodied flavors of cocoa, white pepper, leather, oak, molasses, brown sugar, sweet cream, barnyard and raw sugar. 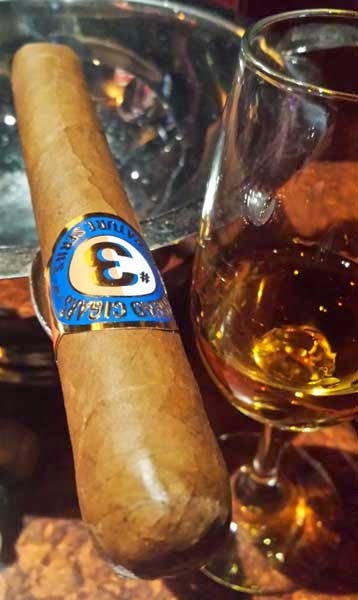 After seventy-five minutes the cigar finished with sweet, medium bodied, notes of brown sugar. Overall the Foundry Dubnium provided a very enjoyable smoking experience. Many of the flavors were on the sweet side of the scale, which I like, but with the earthy notes mixed in, I felt it was well balanced. Sweet and savory came to mind as I was taking notes. If you find this cigar on the shelf at your local B&M, grab a couple and try them out, they're a tasty treat. Gary Griffith of Emilio Cigars announced today yet another addition to the ever-growing portfolio of cigars available through the House of Emilio. Mia Dora is produced by AJ Fernandez in Esteli, Nicaragua and features an Habano wrapper and Nicaraguan filler and binder. The Robusto and Toro are available in 21 count boxes, and the Coronita comes in a 40 count box. 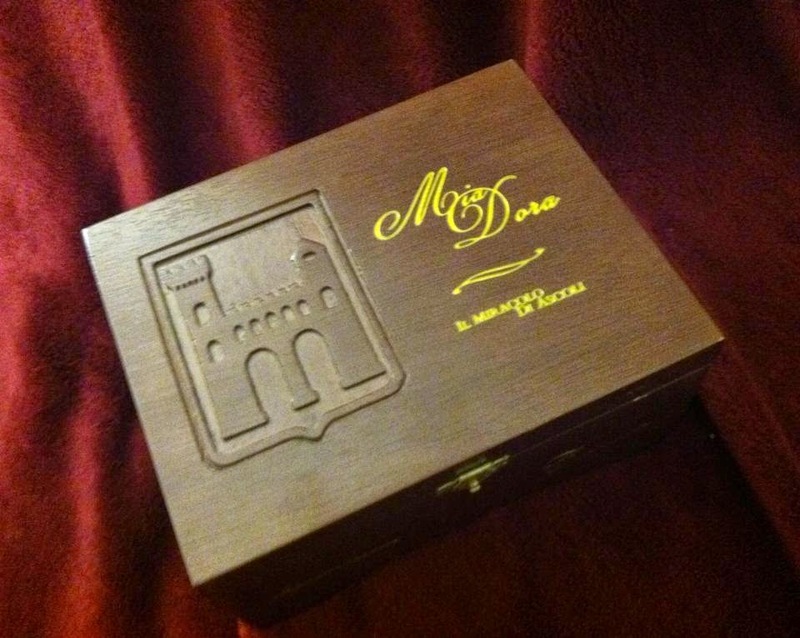 The boxes are embossed in gold, while the cigar bands feature a theme dedicated to the town of Ascoli Piceno in Italy, birthplace of the ancestors of the love of Griffith's life, Dora. Interested retailers should contact their House of Emilio sales representative for additional information. This Cuéllar Connecticut Krēmē Robusto From Villiger Cigars is the last cigar from the Cigar Train COTM package from a month ago. That makes me a bit sad since I like the cigars Villiger produces. Holding this cigar in my hand I see a cigar with top-notch construction. The Claro colored Connecticut wrapper is silky smooth, practically vein free and it's rolled on with seamless care. Feeling down the body I find it's packed firmly full length and the cigar is topped of with a triple cap. Checking for cold aromas and flavors, there are notes of spiced cedar from the foot, while there of nuances of cream, sugar and spicy cedar from the free draw. Once the foot is toasted an burning, I'm rewarded with mouthfuls of smooth, creamy, mild bodied smoke that has a mixed cream and cashew flavor. As the burn moves up the cigar I can taste white pepper, toast, sugar, cream, toasted marshmallows and sweet cream butter. After forty-five minutes the robusto finished with flavors of toast, sugar and cream. I should note, there was a nice touch of spice full length. 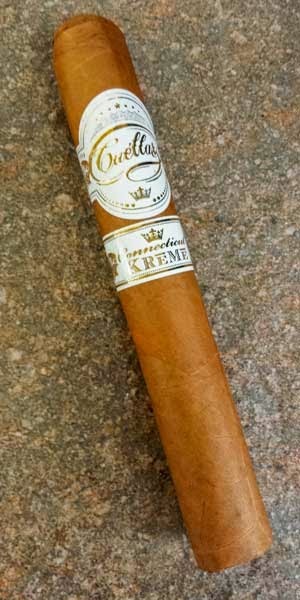 Overall this Cuéllar Connecticut Krēmē Robusto was another nice cigar from Villiger Cigars. It had a good burn line, great construction and a balanced flavor mix. 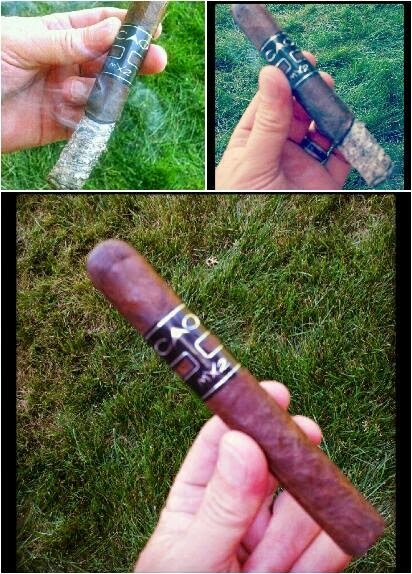 I liked this cigar, I bet you will too! Yesterday I made a mistake. While cleaning most of the 1500 pictures off my phone, I deleted the pictures for this Classic Robusto By Crux Premium Sticks by mistake. Since I was in a jam, I hopped over to the Crux web site and borrowed this picture. I've been wanting to try these Crux cigars for some time now but haven't ran across any. To my surprise the Freight Train package (cigar of the month club), this month from Cigar Train was filled with Crux Cigars. Well, I think the wait was definitely worth it. This Classic Robusto was a solid, good smoking, great tasting cigar. Here's what I found. This well packed Classic is covered by an oily Colorado colored Habano Jalapa wrapper. Looking at the wrapper, it's rolled on with seamless skill and it contains only the finest of veins. From the foot there is a nice aroma of fermented tobacco, while the free cold draw releases flavor notes of tart fruit. Once the foot is toasted and the cigar is burning the first medium bodied flavors are mix of sweet fermented tobacco and smooth leather. 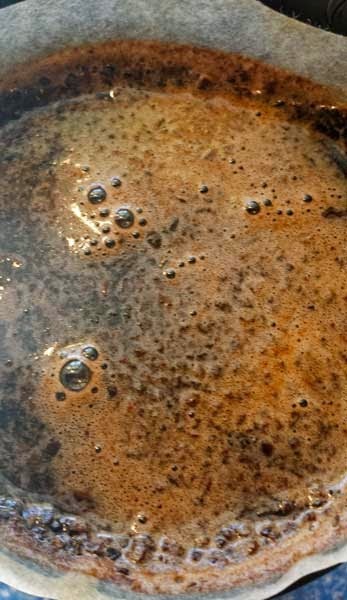 As the sharp, oily burn line moves up the body, there are other flavors of brown sugar, lots of cream, oak, spicy cedar, toast and mild black pepper. After sixty minutes the Crux Classic finishes with a near full bodied mix of cream and leather. Overall the Crux Classic was a darn nice cigar and I'm happy to finally have the chance to take one for a spin. It had a solid flavor mix, a great burn and top of the line construction. Give these a try, you can't go wrong! Like I've mentioned before, green tea is one of my favorite hot drinks. Other than a bit of Earl Gray Green Tea, I pretty well stick to the 100% pure tea versions. This Honeybear Green Chai From Tattle Tea is my first experience brewing any type of Chai so I'm pretty excited to try it out. According to the Tattle Tea web site, this Chai has ingredients of Sencha green tea, cinnamon, clove, cardamom, ginger, anise, fennel, coriander, plus it's flavored with salted caramel and honey. Once the container is opened, this Chai is remarkably aromatic. Aromas of sweet honey, fennel, cloves and cinnamon quickly fill the room. After adding hot water and steeping for 3 minutes, the resulting liquid is a slightly cloudy peridot green in color and the aroma has changed a bit. I thought the steeped Chai had a nice "warm apple pie" aroma. The first sips were fantastic, the Chai was sweet with a hint of saltiness, a light mouthfeel and a fresh palate wash. Once it cooled a bit the other flavors began coming out. First it was the cloves, then nuances of anise, fennel and honey. As a first experience with Chai, this was a good one and I'm probably hooked now. The aroma was fantastic and the flavors were clean. 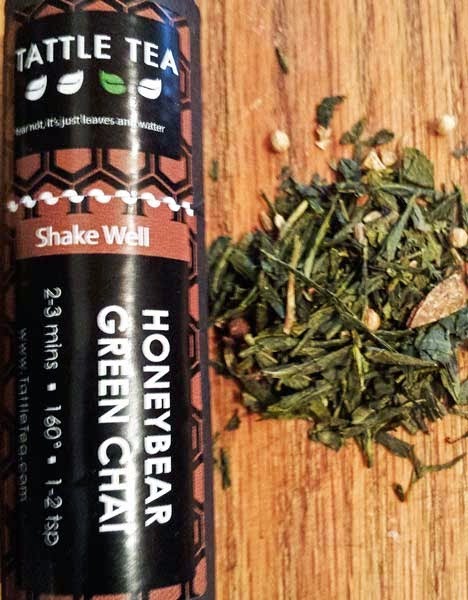 This Honeybear Green Chai is a limited edition tea, so get it while you can, its only available during Chai Fest 2014. In this week's segment of "Five Questions" we talk to Simon Thompson of Cravens Coffee located right here in Spokane, WA. Simon's love for coffee goes far beyond roasting and selling coffee. His love for the product shows not only within his own company, but in our community and within the countries that produce the beans. I'm not going into great detail here, but visit CravensCoffee.com it contains a wealth of information. From my first cupping experience, to learning about professional coffee grading systems and learning how to find subtle flavor nuances, Simon Thompson has been a significant influence in my coffee journey. 1. 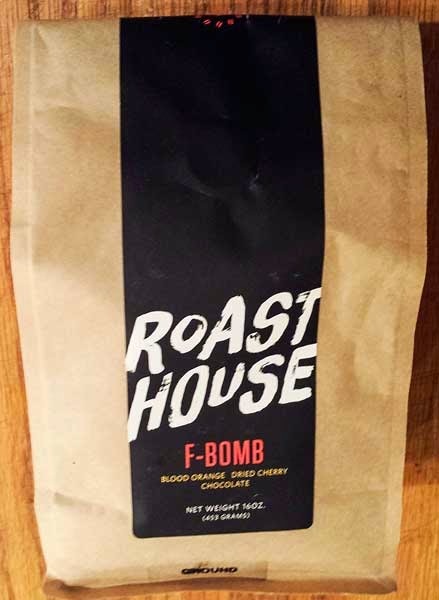 What led you to start roasting your own coffee commercially? I left Seattle's Best Coffee in 1993 to start Cravens with my wife Becky. We had both been in the Hotel and Restaurant business, but in one of those "right place, right time" moments, were in Seattle just as the Specialty Coffee phenomena was building. So came to Spokane to start Cravens. 2. What has been the most enjoyable aspect of creating your own roasting company? The continuing love of the product, which has has been fueled by annual trips overseas to coffee growing countries since 1999. I love the travel to remote parts of the world, and bring back spectacular coffees. Cupping coffee - multiple times each week; Tasting espresso blends - daily; Espresso training - as they arise, and they seem to come in waves; Buying coffee - also concentrated at times of the year (harvest); Visiting customers; Working in our accounts - I am not a "chatter", I prefer to be out there being active. 4. Can you give any hints what may be coming down the pipe from Cravens Coffee? Cravens is growing. The phone is ringing and we are actively opening new business all the time. We have also become the African Coffee Roaster it seems, with 2 coffees from Ethiopia, then Tanzania, Rwanda and Burundi. Watch out for the new crop Colombians in January. 5. What are your personal top 2 coffee's? 1) Tanzania Mondul Estate Peaberry - sweet, wine-like, full bodied, tangy - both as single cup and the majority of an espresso blend. I have a personal relationship with the farm and the people, being the early adopter of this coffee. 2) Then it varies, but the Colombia Huila Valencia is almond-nutty, caramelly, apple-buttery - fantastic. Although a perennial favorite is the Ethiopia Abaya - unbelievable berry-like notes. I would like to thank Simon Thompson and Cravens Coffee for taking the time to answer these five questions and for all the help provided to help me learn. Thank you! Here's another of the new line from Regius Cigars, The Exclusivo U.S.A. Lancero Extra. 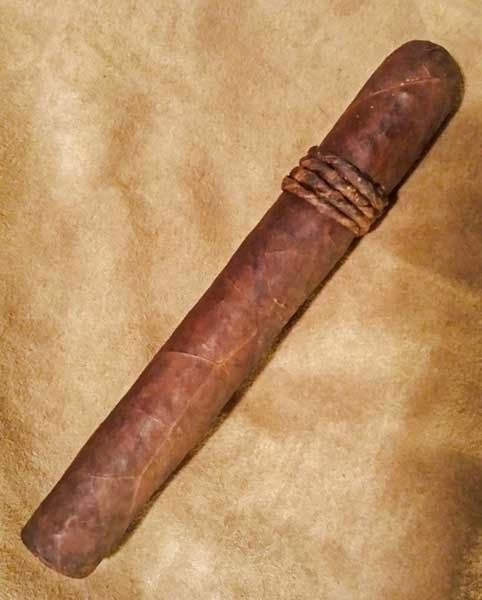 This 40 ring lancero is a bit larger than the standard 38 ring and it's a full 7 ½" long. Construction of this Lancero Extra is nice. It's packed firmly full length and is covered by a seamless, nearly vein free Colorado Claro colored wrapper. In addition, there's a bit of tooth to the oily wrapper and the cigar is finished off with a pig-tail cap. When checking cold aromas, there were light notes of spice from the foot and after clipping the pig-tail cap, the free draw tasted like spiced fruit. After toasting and lighting the foot the cigar produced a large amount of medium bodied smoke with nuances of toast mixed with caramel. Caramel was the predominate flavor in this cigar, but there were other smooth notes of leather, cream, raw sugar, raisin, dark brown sugar and some mild black pepper. After sixty-five minutes the Lancero Extra finished with a full bodied mix of caramel and black pepper. Overall I thought this was a fantastic cigar. 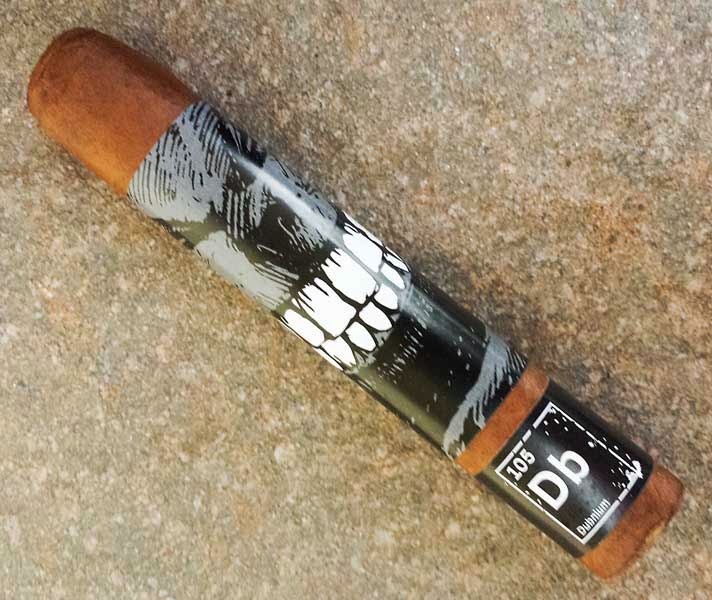 It had great flavors, a razor sharp burn line and the wrapper developed a rich oily gloss as the cigar burned. I really liked this Exclusivo U.S.A. Lancero Extra. Try it out for yourself, I think you'll like it! Monday night at Legends of Fire, in Northern Quest Casio, my wife and I had the opportunity to meet NBA legend, John Starks. It was an amazing event and everyone in attendance received two of John's great cigars, one Connecticut, one Maduro. We picked up a box, which John autographed plus he posed for pictures with us. We had a great time. This John Starks #3 Signature Series Connecticut Toro from Legends Cigars was another top of the line cigar. From the foot there were mild aromas of oak and hay to the nose and after clipping the end-cap the free cold draw had the same flavor mix. The cigar itself had top-notch construction. It was packed well full length, plus the silky smooth Claro colored Connecticut wrapper was seamless and nearly vein free. 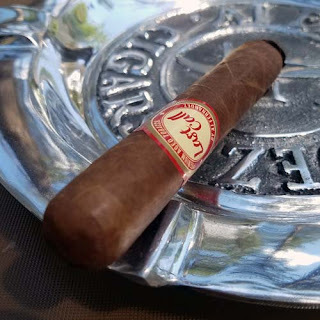 After toasting the foot and lighting the Connecticut, the first flavors within the mild bodied smoke were cream with a mild hint of spice. As the burn moved up the body there were other flavors of brown sugar, cedar, white pepper, oak and honey. The flavor mix wasn't very complex, but the flavors were balanced and they complimented each other to deliver a tasty smoke. 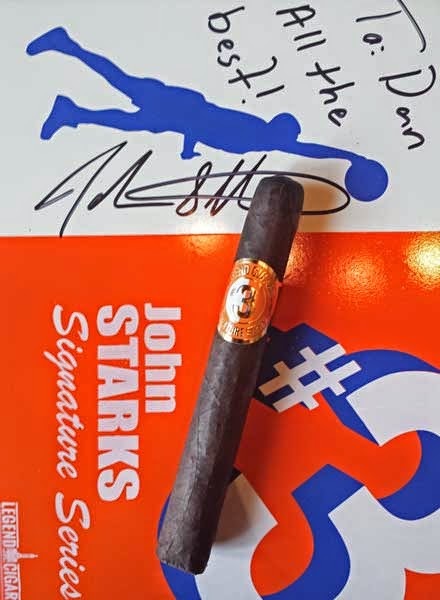 Overall the John Starks #3 Signature Series Connecticut Toro, was another really nice cigar. The burn line was razor sharp, a nice oily gloss developed on the wrapper as the burn progressed and it gave me sixty minutes of smoking pleasure. This is another stick that you shouldn't pass up if you find one! 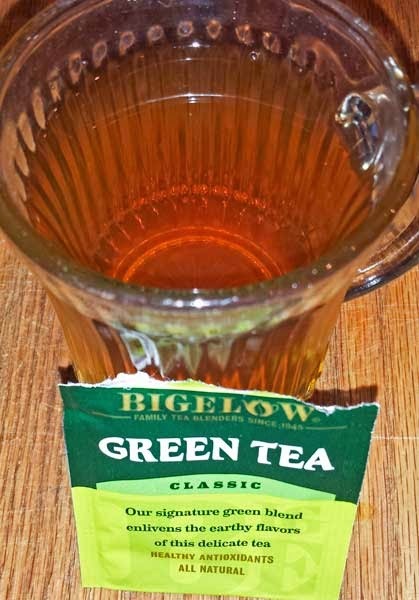 This Bigelow Classic Green Tea is one of my daily teas. I've been drinking this and a couple other green teas for years. Bigelow says this tea is hand-picked and only comes from high elevation gardens. To a warm cup, I added one tea bag, hot water and let it steep for three minutes. I ended up with a cup of honey colored green tea with a pleasant aroma. The aromatic qualities of this tea radiate from the cup with nuances of sweet, light spice, and a bit of earth. Flavor wise, this tea has notes of spice and earth. Be warned if you steep it over the recommended three minutes it will pick up some bitter tones. Sipping this tea, the mouthfeel is on the heavy side for green teas, but it still delivers a bright wash across the palate. If you like sugar, honey, lemon added to your tea, this blend is sturdy enough to handle it. Overall this is a nice green tea, with clean flavors. It's a bit bolder than most other green teas, but it's a nice change of pace. 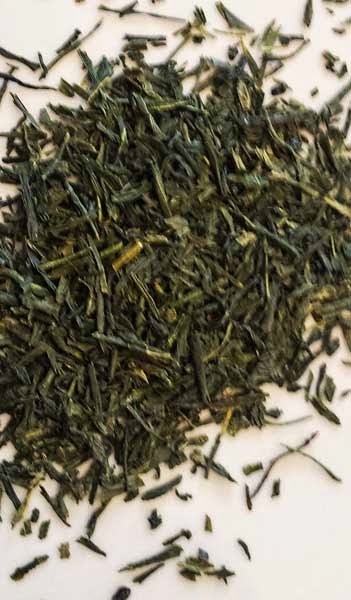 This Gyokuro Japan Green Tea from Tattle Tea is another of those rare green teas. The Gyokuro is shade grown for about twenty day and hand-picked resulting in a tea with increased amounts of amino acids, chlorophyll and caffeine. To a warm cup I added the proper amount of the Gyokuro Japan Green Tea into the infuser. Once hot water was introduced and the steep was over, the tea leaves created a cup of slightly cloudy, light emerald green colored tea. I found the tea. light and naturally sweet, but at the same time a bit brisk with a refreshing wash across the palate. The flavor of this tea is superb, but light, with a clean and smooth finish. Overall I will say this is the finest green tea I have sipped to date! Well here it is, my 400th (305 so far in 2014) post to this blog. It's been a busy and exciting ride. My goal for 2014 was to review 200 cigars, I'm not really sure of the count, but I'm probably pretty close. 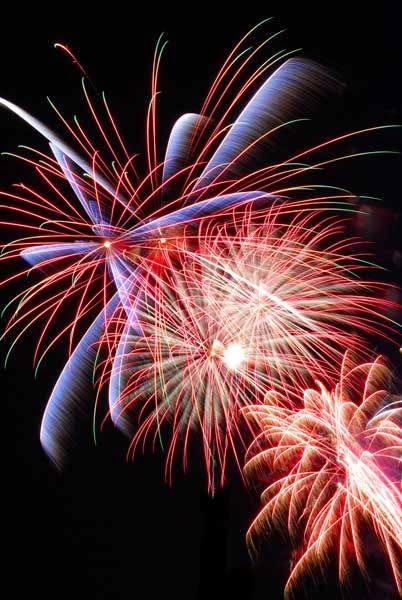 The year should finish out with a bang! 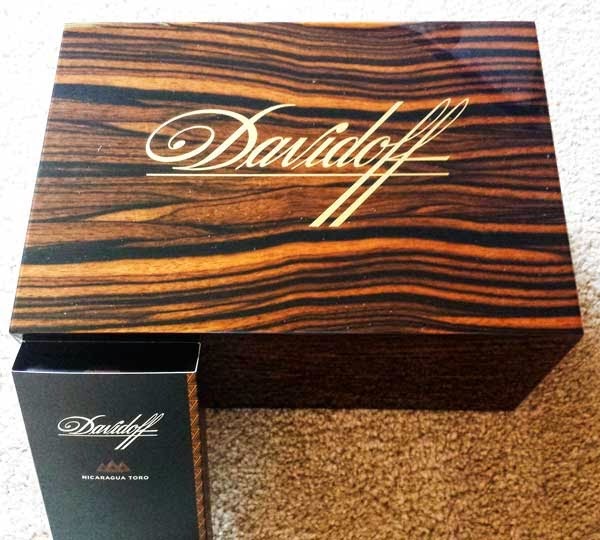 I have some newly released cigar yet to review, with more on the way, two humidors, (including the Davioff No.6 I recently won in a contest), lots more coffee and I am expanding my Five question segment. But you, the daily readers deserve all the credit! If you weren't reading I wouldn't be writing. Thank you! Amazing! I could easily end this review of the Indian Monsooned Malabar Coffee by Coffee Direct right there and be happy. But, that wouldn't help you now, would it? How can I be satisfied with a one word review? Simply stated, this is the best coffee I've ever sipped. I know that's pretty bold statement, but this is my "perfect coffee!" Read on and i'll explain. Opening the bag, pleasant aromas of coffee, earth, cocoa and caramel hit my nose. Looking at the beans, they're at the city roast level and they're already showing some oily caramelization. These beans come from India where they're exposed to the Monsoon winds for several months. The beans absorb moisture from the winds and take on their unique flavor qualities. After grinding, the dry coffee gave off nearly the same aromas but the cocoa and caramel nuances were more pronounced. Wet, the coffee had strong, rich notes of caramel and hints of earthy cocoa. I sampled this coffee with two different brewing methods, pour-over and auto drip, with near identical results. The only real difference between the two methods was a bit more brightness in the pour-over. When tasting the Indian Monsooned Malabar I found it to produce a defect free, clean cup with a smooth, creamy mouthfeel and there were no tart or bitter tones present. While sipping I found the Malabar sweet, perhaps the sweetest coffee I've ever sampled, with prominent flavors of cocoa, caramel, earth and an underlying hint of charcoal. There two other notable mentions about this coffee. I paired this coffee, with a bold cigar and had great results. You can read the pairing on CigarAndCoffee.guru. Then just for fun the kids used this coffee to make chocolate covered coffee beans. It was a fantastic flavor combination with the sweet caramel and cocoa flavored coffee. There you have it. That's why I say this Indian Monsooned Malabar Coffee by Coffee Direct is nothing short of "amazing!" 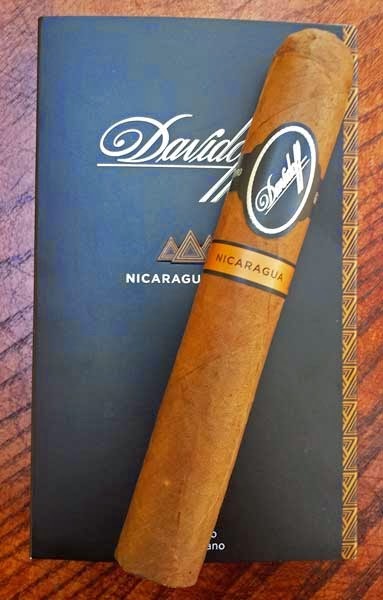 (Miami, Florida) October 9, 2014— Roberto Pelayo Duran is proud to announce that Jack Toraño of the Toraño cigar family will now oversee sales in Florida and the Caribbean for Roberto P. Duran Premium Cigars. This announcement comes only days after the announcement of the hiring of Miguel Shoedel and Frank Cuden. Jack Toraño spent 3 years with Toraño Family Cigar Company as Director of Marketing until its acquisition by General Cigars. Jack Toraño said: “I wanted to take the time to find the company that matches my vision. I am excited to be working with Roberto Pelayo Duran who is as passionate about cigars as I am. Roberto P. Duran Premium Cigars is truly a boutique cigar company which owns its tobacco fields and creates their own cigars. The fact that we will be involved in everything from tobacco field all the way to the valued customer is what brought me here. 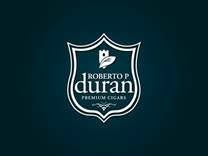 Roberto Duran is creating a stellar team and I am happy to call Roberto P. Duran Premium Cigars my new home. (Miami, FL)- October 8, 2014--One picture, eleven cents: #LA111th. La Aurora turns 111 years old today and wants to celebrate with all the smokers in the world, inviting them to toast with Guillermo and Michelle León in celebration of such a special date. That being a reason to celebrate is also a reason to “give back.” The company has announced a target to collect funds for one of the social programs supported by La Aurora. For every picture received by the brand’s social media, 11 cents will be donated to the Patronato de Lucha contra la Diabetes de Santiago de los Caballeros, a local institution that fights against diabetes disease. La Aurora will also use all the pictures received to adorn their tabaquería, in the factory, in an effort to make everyone feel part of La Aurora Family. The campaign "Become part of the family" invites everyone to have their own picture hung in La Aurora's facilities and we want to fill it all! 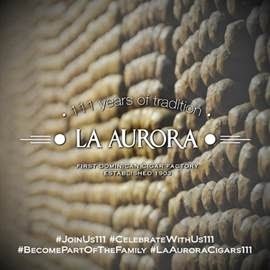 The hash tags that will be used to collect the pictures, on Twitter, Face book (https://www.facebook.com/LaAuroraCigars) and Instagram are #LA111th. 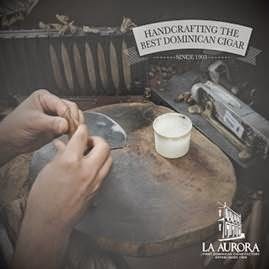 La Aurora is the original cigar factory in Dominican Republic. Its master craftsman roll the best quality premium cigars since 1903, 111 years ago today. Located in Santiago de los Caballeros, the premium cigar capital of the world, La Aurora is a family owned company headed by Guillermo León, a fourth generation tobacco artisan, and is a symbol for all the Dominican people. Between 8% and 10% of the global population is affected by diabetes, a disease that has turned into a world health problem, as it is not about social or economic level to develop it. Till now, there has been no programs to prevent and educate people about the fight against this disease in Dominican Republic nor to help people affected by it. Known as the "Epidemic of the century", this disease has no cure and its treatment costs are very high. The Patronato de Lucha Contra la Diabetes de Santiago is a NGO created to help and service people affected by diabetes with poor economic resources in Cibao Region. I found smoking the CAO Cigars MX2 Toro cigar a great way to relax and beat the scorching mid-afternoon summer heat a while back. The double maduro binder and wrapper combination of this MX2 only highlighted four-county blend of fillers inside. But let me tell you this baby was a chocolate bomb from start to finish. It comes with a Connecticut Broadleaf Maduro wrapper that's all business. The toothy wrapper is dark, oily, and thick, It's rolled on with near seamless perfection and the cigar is packed firmly full length. Plus, when testing the cocoa flavored free draw, the wrapper left behind a nice chocolate aftertaste on my lips. From the first medium/full bodied puff to the last, this MX2 was all earth and chocolate. No, the flavor mix wasn't complex at all, but dang, it was good all the way down to a lip-burning nub. Overall this was another high quality cigar from CAO Cigars. It had a great burn line and a fantastic ninety minute smoking time. If you like chocolate and you like them smooth give this CAO Cigars MX2 a try. This Trill Cigars, Torpedo Gordo came in this months Cigar Of The Month package from Cigar Train. Trill Cigars are part of Villiger Cigars North America. Looking at this cigar, it's a chunk. As you can see it's a torpedo, it's 4.5" x 62 and it covered with a hearty Habano wrapper. The oily, Colorado Claro colored wrapper is practically vein free and seamless. There is one wrinkle in the wrapper at about the center of the cigar. From the foot there is a nice aroma to the nose of fermented tobacco and the free cold draw has notes of oak. Once the foot was toasted and burning, the first medium/full bodied flavors were leather with a bit of spice lying underneath. Soon to follow there were nuances of coffee, brown sugar, cocoa, caramel and toasted nuts. The sixty minute burn finished full bodied with notes of toast and rich tobacco. The flavor mix wasn't really complex, but it sure was tasty. I liked the flavors so well, I smoked the Trill down to a half inch, lip-burning nub. However, be warned, if you smoke this cigar down to a nub like I did, make sure you have a beverage to drink or a full stomach. This stick really is full bodied and it will hit you in the stomach like you were kicked by a stubborn mule if you're not prepared. Overall I thought this Trill was a fantastic cigar and I am looking forward to smoking many more. As a final thought, you know how 60+ ring cigars normally burn for me. The Trill had a great burn for a 62 ring cigar. The burn wasn't razor sharp, but it was close. Well done Trill Cigars! In addition to Miguel Schoedel, Roberto P. Duran hires Frank Cuden as Territory Manager. (Miami, Florida) October 6, 2014— The cigar industry has been abuzz recently with major brands making major changes. Roberto P. Duran Premium Cigars is no different. The company has now added Miguel Schoedel (previously at Toraño Family Cigar Company) as their National Sales Manager. Duran is also announcing the hiring of another former Toraño territory manager, Frank Cuden. These new talent acquisitions are seemingly only the beginning of what’s to be a major growth spurt for Roberto P. Duran Premium Cigars. After the unveiling of the super-premium Roberto P. Duran Cigar, Neya, and Baracoa cigar brands at the 2014 IPCPR, Roberto feels it is now time to add a little muscle to the sales force to coincide with the companies continued expansion. Miguel Schoedel was a stand-out component within the sales team at CAO. 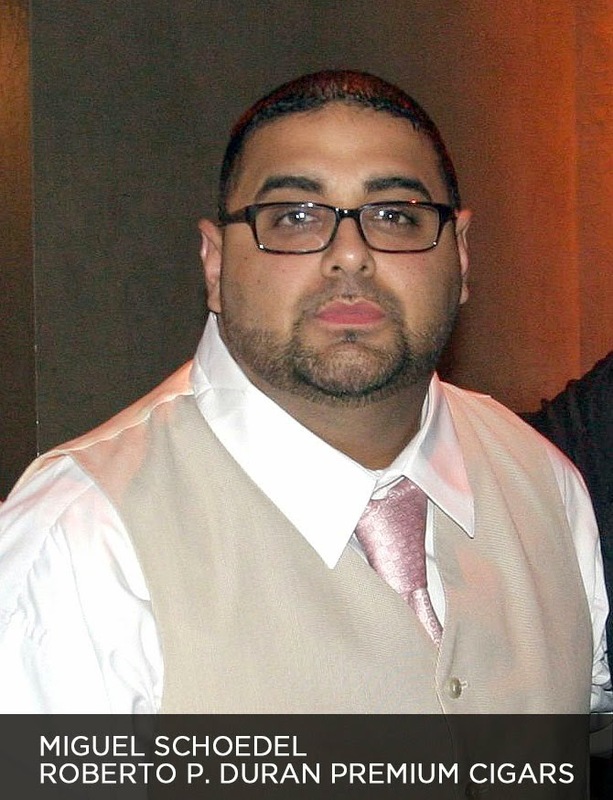 He spent the last four years with Toraño Family Cigar Company, where he was promoted to National Sales Manager. Miguel Schoedel will oversee the sales force while maintaining his home base in the Mid-West Region. Frank Cuden will manage South-East. I've wanted an electric coffee grinder for some time. It's not that I'm lazy, I just grind lots of coffee doing two to six pour-overs every day. 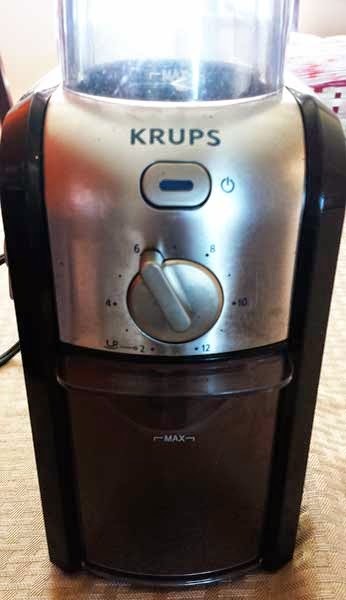 As a birthday gift, my fantastic wife picked up this KRUPS GVX212 Burr Coffee Grinder. Over the past few months this grinder and I have developed a true love-hate relationship. KRUPS made this grinder feature-rich, but in reality I only use a couple of them. See, I told you it had tons of features. So what do I like the most about this grinder? It's the speed, 7 oz. 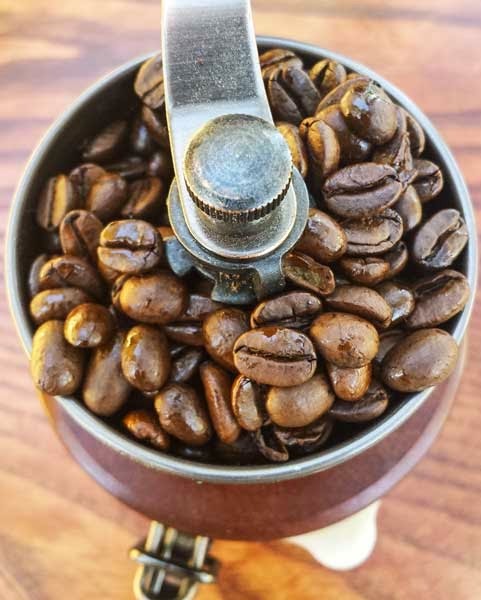 of coffee can be ground in about two minutes, (much of my review coffee gets ground and stored for auto drip use once the review is done). The quantity selector works well but again I only bulk grind so it's set on 12 most of the time. That brings us to the next question. Why don't I grind for reviews with this grinder? Well, this is a bit of a story but here goes. 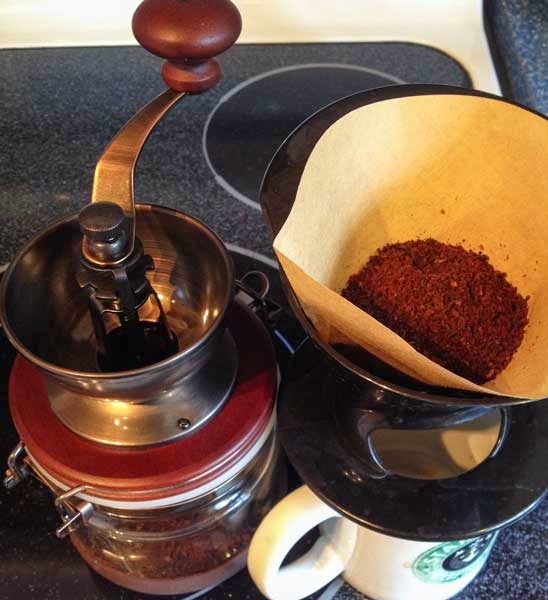 No matter what grind setting is used, even coarse, this grinder creates way to much, pour-over filter clogging, dust. Not only does it create lots of coffee dust, the anti-static coffee container really isn't anti-static and about half the dust sticks to the sides and lid. That means every time the lid is removed coffee dust goes flying everywhere. The amount of dust really is a problem and it creates a huge mess. 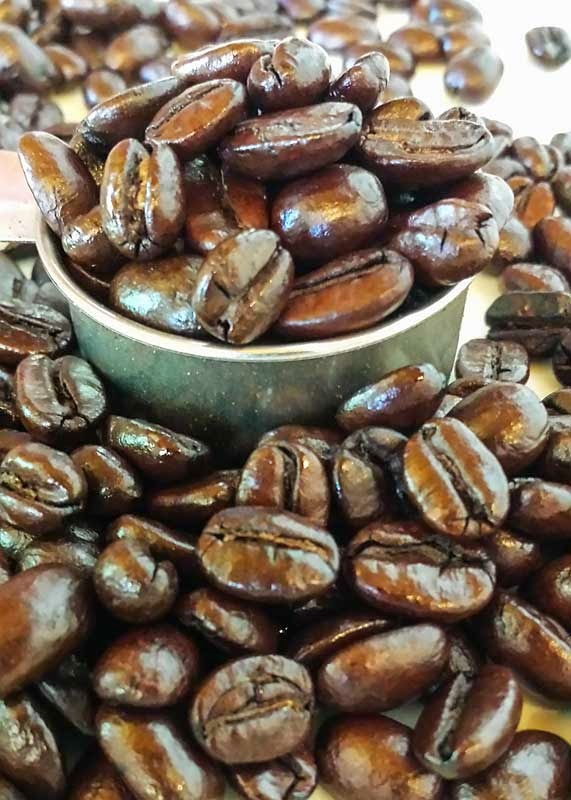 This is a Full City roast and each bean is beginning to show some rich, oily caramelization. Once the beans were ground there was an aroma of sweet caramel and tree fruit. After water was introduced for the pour-over the caramel aromas bloomed to fill the room and the tree fruit notes turned to nuances of citrus. From the first to the last sip this coffee was, bright, clean, and crisp with a light mouthfeel. Hot, there were notes of sweet caramel, toast and tangerine. As the coffee cooled, it stayed sweet, but nuances of caramel and tart grapefruit became the prominent flavors. It was a nice sweet and tart combination. Overall I thought this was a fantastic roast. It was crisp, yet sweet with a nice cleansing palate wash. There were no defects and it produced a clean cup. Check out the Buna Mobile web site and see what the currently have to offer. You won't go wrong with any of their roasts. This pre-release Roberto P Duran Premium Cigars Robusto came my way via Gabriel Piñeres from Creativas Group Public Relations, Branding & Events. I've heard some good things about this cigar and have been pretty excited to try it out. Holding this cigar in my hand, I see a well made top-of-the-line cigar. The fillers and binder and wrapped in a silky smooth, seamless, practically vein free Claro colored wrapper. I don't know much about the blend, but this cigar holds one filler leaf from an undisclosed country. It's only a guess, but I think it either contains one dark fired cured leaf or one leaf of Andullo tobacco. Read on and you'll see why I think that. Checking cold aromas, from the foot there are hints of smoky tobacco with sweet fruit. After clipping the triple cap, the free draw had the same flavors, but it left behind an aftertaste with hints of red wine. Once the foot was toasted and burning the first medium bodied flavors were a mix of tart fruit, cream and caramel plus there were underlying notes of smoky tobacco. Around the mid point the burn ran up the side a bit, well actually, enough that it need a quick correction. In the second half there were flavors of toast, sugar, brown sugar, fermented tobacco and even some floral notes. But again, that smoky goodness was there in the second half too along with a nice brown sugar after taste. The fifty minute burn finished with full bodied nuances of earth and smokey tobacco. I though this was one great tasting cigar! Other than one burn problem this cigar was fantastic. I could be wrong about the undisclosed leaf, but it's something along those lines since there were smoky notes full length. If you get the chance don't pass this cigar up, actually don't pass up any of the Roberto P. Duran cigar lines. They're all great cigars. You probably know that large ring-gauge cigars and I don't see eye-to-eye most of the time. 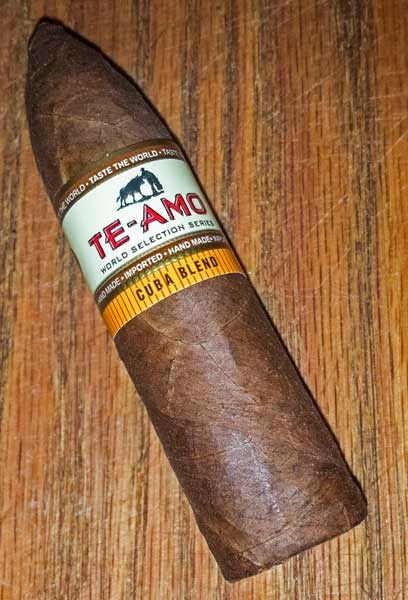 However, these Te-Amo World Selection Series Cuban Blend Gran Corto cigars just hit the shelves at Cigar Train and since I've smoked a few Te-Amo cigars in the past, and liked them, I just had to grab one. This 62 x 4 Cuban Blend Gran Corto cigar is covered with a stout, oily, seamless and nearly vein free Colorado colored Criollo wrapper. Testing the cold aroma, there are notes of apple pie to the nose--yes I said apple pie. After clipping the end, I found the draw to be free and flavors of spicy cedar and apple pie. It took nearly a lighter full of butane to toast the foot but I finally had it burning. The first puffs were medium bodied, sweet and fruity. Nice. As the burn moved up the body, there were other flavors of sweet leather, oak, barn yard, sandalwood and earth. After forty-five minutes the full bodied burn ended with bold notes of earth. I have to say it was darn tasty. I know you're wondering, how was the burn? Actually, the burn was pretty good. It was a bit wavy at times, but it always self corrected and I like that. Overall I thought this was a pretty good cigar, good enough that I want to try the other blends too. Give it a try and see what you think.